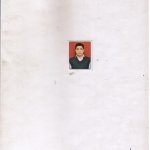 Deen Mohmmad from Meerut, B.Com Graduate. Working for : Birla Aircon,Refrigeration Mfg Co. Currently working as Accountant at Birla Aircon,Refrigeration Mfg Co.
are one of expert skill area's of Deen Mohmmad . Deen Mohmmad is working in Finance industry.